Fujifilm has revamped its FinePix F550 EXR digital compact to launch the FinePix F600 EXR, boasting a new u2018Motion Detectionu2019 function. 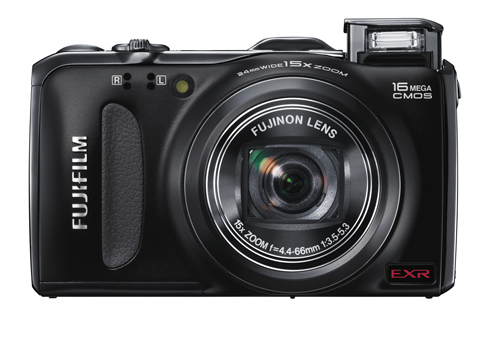 Fujifilm has revamped its FinePix F550 EXR digital compact to launch the FinePix F600 EXR, boasting a new ?Motion Detection? function. Trumpeted as the ?ultimate travel companion?, the F600 EXR features a 16-million-pixel CMOS imaging sensor and 24-360mm (35mm viewing angle equivalent) lens. Fuji claims it has improved the quality of photos in low light by offering Motion Detection in EXR Auto mode. ?The new Motion Detection function enables the FinePix F600 EXR to tackle motion blur on three fronts – with mechanical image stabilisation, high ISO sensitivity and the new Motion Detection capability working together,? explained a spokesman. The firm claims: ?In low light, with the EXR Auto mode selected, the FinePix F600 EXR will automatically identify if the subject is moving. ?If it is, the camera deploys Motion Detection and a higher ISO to ensure the subject is captured, blur free. If no subject movement is identified, the FinePix F600 EXR will automatically keep the lower ISO and use image stabilisation for blur-free results.? The GPS function now includes a built-in Landmark Navigator, designed to allow users to find famous sites in relation to their current location. The F600 EXR is due out at the end of October, priced £269.